Small hatchbacks appeal to new drivers, older drivers and everyone in between so it’s little wonder that it is such a competitive market, writes Geraldine Herbert. 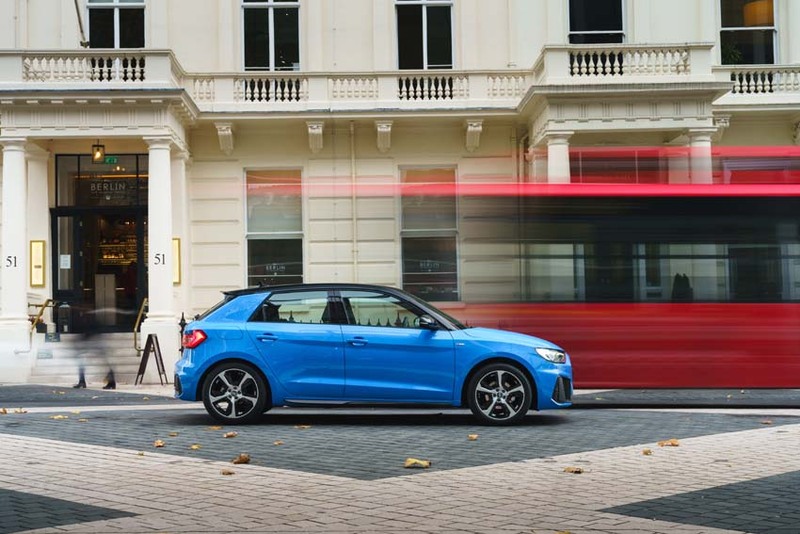 The A1 may be the smallest car in Audi’s range but it is every inch the premium car and proof that less really can be more. With stylish looks and a very sophisticated interior, Audi’s A1 will appeal to fashion-conscious singletons. An all-new version arrived on our shores this year and it boasts a new smarter exterior and more space inside. On the road it is fun to drive with the right amount of feedback from the steering and loads of grip ensures turning and cornering are reassuringly surefooted. With C4 Cactus styling cues and frugal running costs, Citroën’s funky C3 is their answer to modern city living. In a hotly contested but relatively dull small hatchback segment, the C3 certainly stands out, inside and out. Behind the wheel, it is supremely comfortable and space in the front is good but limited in the rear which would be far from enticing on longer trips. Boot capacity is a decent 300 litres. 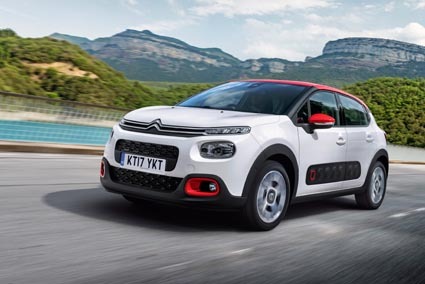 Citroën has built a reputation for making cars that are comfortable to drive and the C3 certainly doesn’t disappoint. It may not be likely to win any design awards but on the road the Dacia Sandero looks reasonably good. Inside functionality has the edge over design and grey plastics cover every surface. While it feels far from classy there is a durable and understated quality nonetheless and it manages to feel fairly light and airy. Surprisingly roomy, front and back it also has a very decent boot. 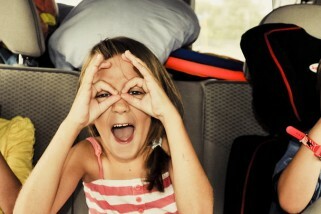 On the road, there is nothing particularly memorable about the drive but there is little to complain about. It’s hard not to be impressed with the Sandero it’s smart, practical and economical. Designed for those who like to stand out from the crowd the DS3 is the one to opt for if you want to impress your friends. Inside it’s beautifully stylish with a delicate balance of retro chic and modern chrome. Space up front is good and the driving position is particularly comfy. On the road, the car is lively and responsive and it handles so reassuringly; turn it into a bend and there is plenty of grip. It’s not a smooth drive, the ride is a little hard so you will notice any imperfections or bumps on the road. It’s funky, economical to run and easily one of the coolest cars around. A new DS3 is due in showrooms this month. 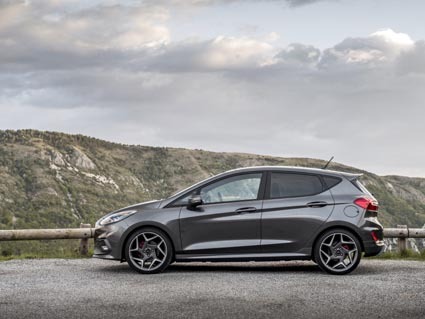 Inside the Fiesta feels airy and spacious but the quality could be a little better and the infotainment system a little more intuitive to use. Inside it is not versatile enough to rival the practicality of many rivals but the boot space is an adequate 292 litres. It is on the road where the Fiesta really shines, it is responsive, agile and the handling is impressive. Ford’s Fiesta has been one of the most popular hatchbacks on our roads since it first launched and it’s easy to see why, it is well priced, well equipped and you can’t help but have fun driving it. With simple styling and impressive technology, Honda’s jazz is designed to appeal to the young at heart. Inside there is lots of adjustment to get you comfy behind the wheel and it’s extremely spacious so even passengers can stretch out in comfort. The suspension soaks up bumps in the road and the Jazz is a pleasant car to drive. The combination of Honda’s excellent reliability record and practicality means the Jazz is a very likeable car. It is not cheap compared to rivals’ prices but it will scoop up the entire family with minimum fuss. Larger than many rivals, one of the i20’s strongest selling points is space. Inside it is deceptively large with oodles of space for a family of four thanks to plenty of headroom and a very generous 326 litres of boot space. On the road, it is not going to set pulses racing but it is comfortable and refined. 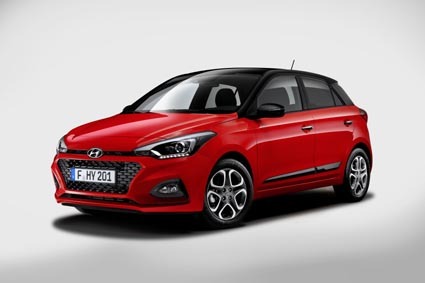 The i20 is one of the roomiest small hatches around and ticks a lot of boxes, it is cheap to buy and run, and comes packed with standard features. It may lack some of the drama and funky appeal of rivals but the Kia Rio is a smart looking car. There is a nice premium feel throughout and space is good front and back so there should be no complaints from passengers or luggage as there’s masses of space inside for both, plus a 325-litre boot. The Rio is comfortable and easy to drive and it’s even sprightly around town. The Rio is more sturdy than it is stylish but it should last you quite a while and there’s a seven-year warranty for extra reassurance. Despite its age, the Mazda2 is still one of the best looking small hatchbacks around. With the signature wing front grille and the predatory headlamp, the styling is sure to turn heads. Inside there’s plenty of seat adjustment to help you get comfortable and plenty of room for a party of four. But what really makes the Mazda2 work is the smooth, fun drive it delivers. The firm ride is all part of the appeal and the controls are light and there’s plenty of grip and refinement. 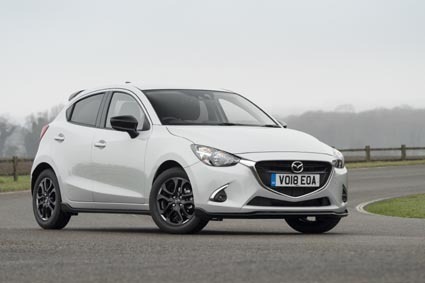 Whether it’s chic styling or practicality you are looking for the Mazda2 won’t disappoint. 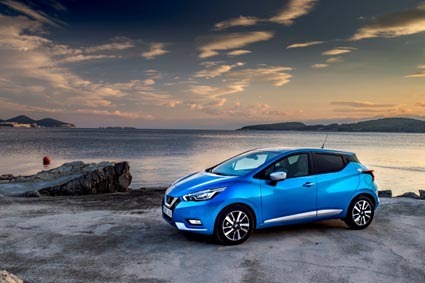 A chiselled exterior and sleek lines give the Micra some serious appeal. Inside it’s not quite the radical departure of the exterior styling but it’s lively and intuitive and the quality is particularly good. There’s plenty of space adjustment to help any sized driver get comfy. It tootles happily around town and turns as tightly as a shopping trolley. More impressively on the motorway, there is more than enough oomph, it is still reasonably quiet and seems so effortless. With head-turning looks, a funky interior and good driving dynamics the multi-talented Micra is a car for all occasions. One of the most anticipated new cars of 2019 is the all new Corsa. The popular small hatchback car is likely to be revealed at the Frankfurt Motor Show in September and will be available as a five-door only. An electric version, the eCorsa, with a range of around 400 Kilometres is due in 2020. In the meantime, the current Corsa is still one to consider for competitive pricing, space and a good range of model choice. A brand new 208 was unveiled this week in Geneva powered by a choice of petrol and diesel engines along with a zero emission all-electric new e-208. Not due in Ireland until next year the current 208 is still an appealing one. With smart styling outside, inside it is fun and bold. The interior is first-rate but the small steering wheel won’t be to everyone’s liking. The 208 is comfortable and extremely smooth to drive and is a classy alternative. The Clio is one of the world’s most successful cars, an impressive 13 million have been sold since it first drove off with the European Car of the Year award in 1991. 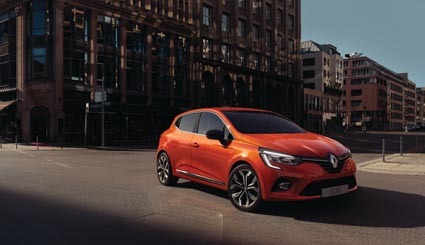 A new Clio in stunning Valencia Orange took centre-stage on the Renault stand this week at the Geneva Motor Show. 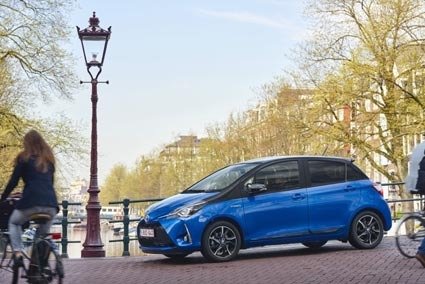 Until it arrives this summer the current model is a chic small hatch that is a lot of fun to drive but doesn’t fall short on comfort and refinement. The latest incarnation of the Ibiza is one of the lightest, practical and spacious hatchbacks around. Outside it is sharply defined. Inside it feels roomy and there’s plenty of space across the back for kids, friends of kids and other people you’re obliged to drive around so it’s big enough for a family and yet small enough to squeeze into the tiniest parking spaces, plus it comes with a luggage capacity of 355 litres. Seat is renowned for producing cars that pack a lot of punch, ooze appeal and in terms of style, space and drive the Ibiza is head and shoulders above the rest. Suzuki has built a reputation for producing fun to drive, practical and economical small cars. The Swift is no exception and now in its fourth-generation, it is a much-underrated car. Inside there is good space even for rear passengers and the boot has a reasonable 265 litres of space. On the road, it is entertaining with sharp handling and has enough oomph for the motorway but is still perfect for the urban jungle. Well equipped and priced, the Swift offers great value at the price. VW’s Polo has won a legion of fans as one of the best all-round hatches. What it lacks in style it more than compensates with a solid built and functional interior. Inside everything is logically laid out and there is plenty of adjustment to help driver and front passenger get comfortable. Complaints from rear passengers are also unlikely and there’s plenty of room for luggage. Behind the wheel, it’s quiet and assured. Smooth, smart and solidly built, the VW Polo ticks all the right boxes.